Abu Said invites us with a welcoming smile on his face. 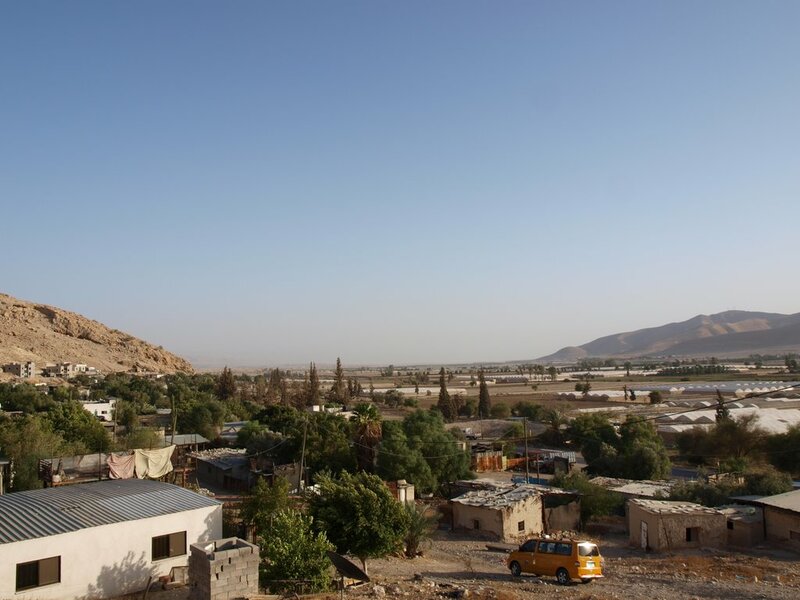 The head of the city council of Al-Jiftlik just recently built a new home on the northern hills of the Jordan Valley town. Behind the building are still the residential caves his grandfathers a hundred years ago digged into the hills. 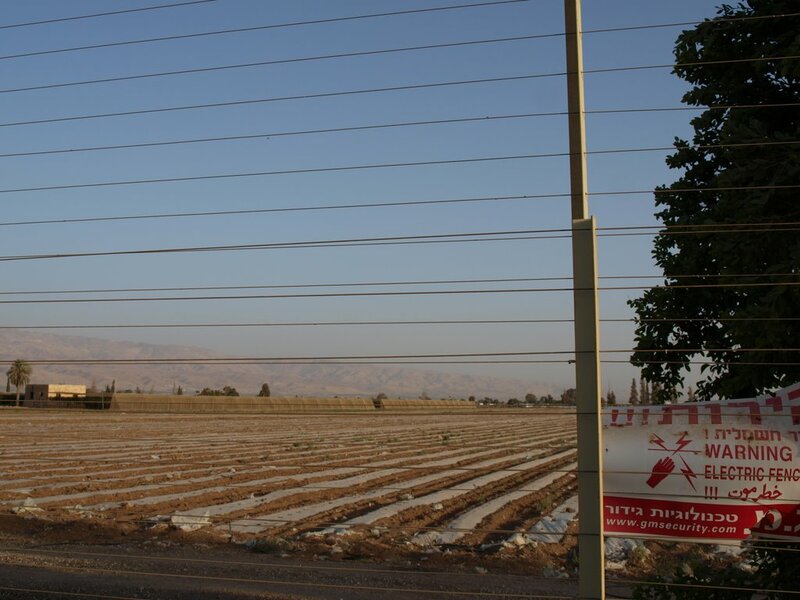 Jiflik is located in a sidearm of the Jordan Valley and with about 4.500 residents one of the biggest Palestinian communities in the area. Fertile agricultural land, greenhouses and rich date orchards stretch along the valley while the dwelling houses, animal shelters and residental tents are located on the siding hills. 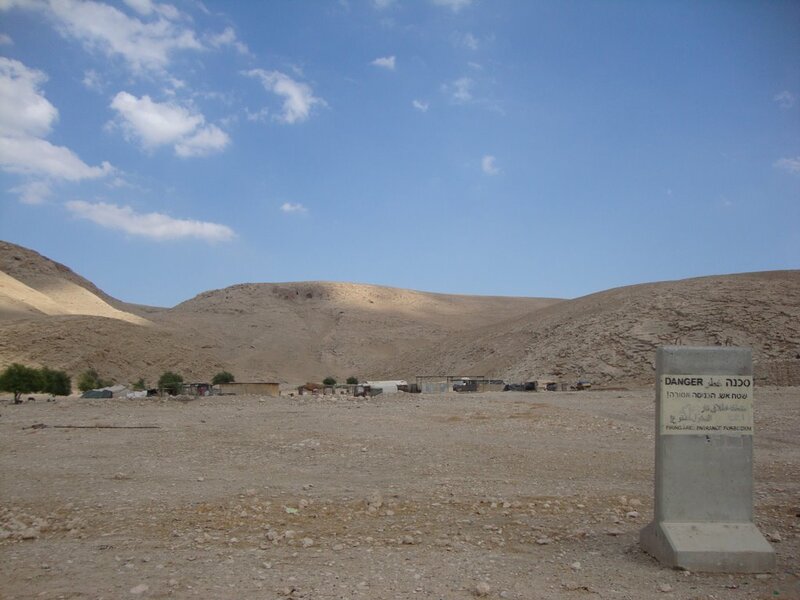 The town is not officially recognized by the state of Israel. But Abu explains that the Israeli authorities allowed the residents to stay and to built houses in certain areas, even so they did not issue official permits for construction work. We lost big parts of our land in 1967/68, says Abu, reffering to the Six-Days-War when over 800 homes in Jiftlik were razed and its 6.000 habitants ordered to leave. In the aftermath of the war Israel used the former Ottoman Empire absentees law to expropriate absent residents of their property and transfered the land to the newly established Israeli settlements in the area. Abu describes how residents who stayed or came back after the war shared the remaining property. From the balcony of his house he still can see the land that once belonged to his family. The center of the valley is now covered with two settlement farms with the size of 83 and 25 hectar using a huge amount of water for the cultivation of winegrapes. 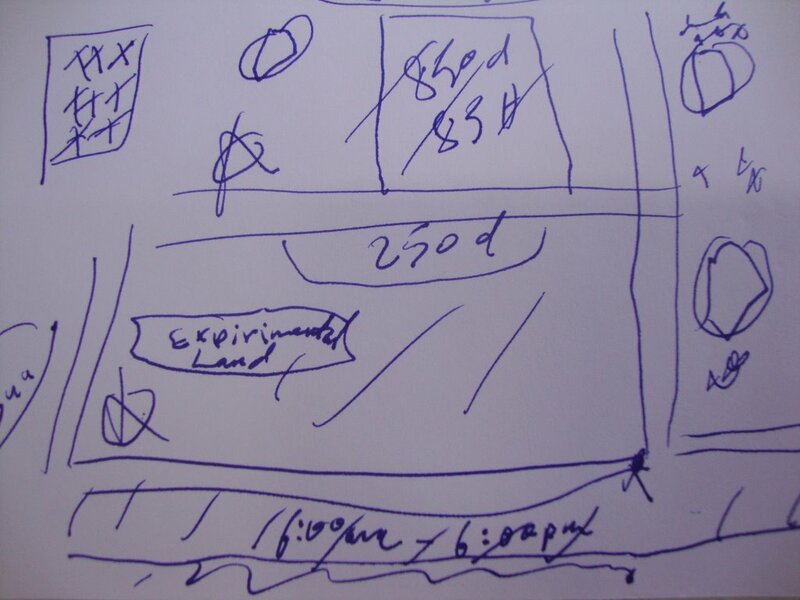 The Palestinian community faces serious difficulties because the residents do not receive official building permits. 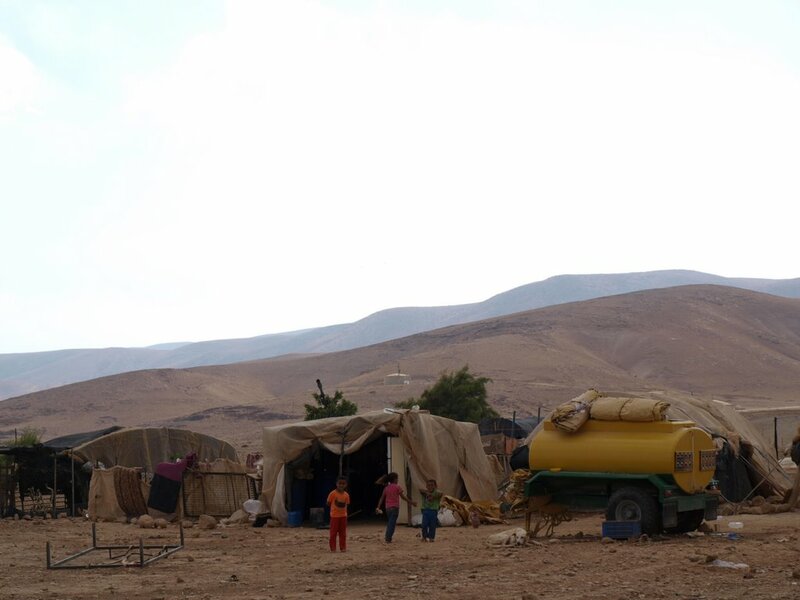 Regularly the Israeli army destroys houses, animal shelters or water structures and in addition the access to water is a huge problem in the town. “We receive the same amount of water since 1983”, Abu explains. “But then we had been 1.500 now we are 4.500 people here. We have the same small pipes since then, receiving about 15.000km3 a month. The pressure is low and it is simply not enough water for everyone. 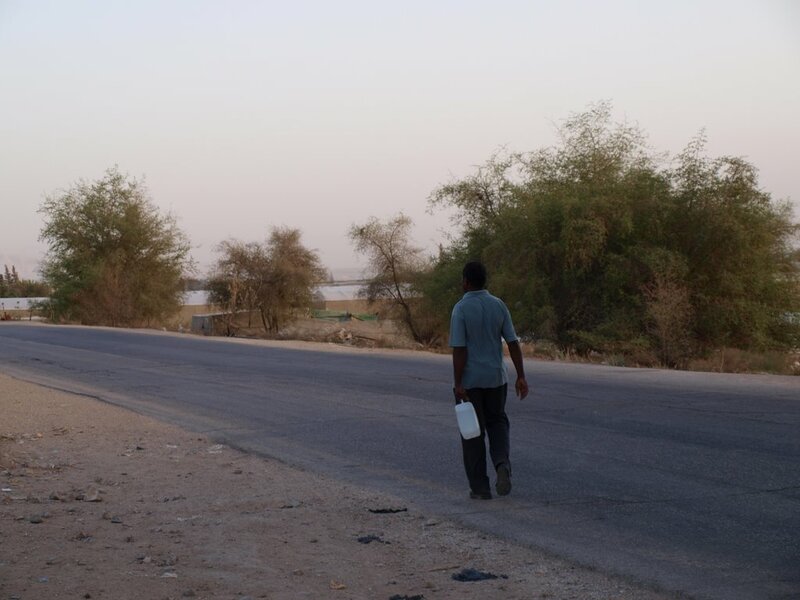 Especially in the summer month we have to buy water in tanks.” About 500NIS (100€) Abu has to pay per month to buy the expensive tank water, while the settlements in the area receive governmental subsidies for their water consumption. In addition Palestinian do not receive official permits to repair broken pipes or wells, install new pumps, new water harvesting cisterns or digging deeper wells. Because of the Israeli over consumption in the area the old Palestinian wells do not provide enogh water anymore. In a neighbooring village, Abu explains, Israel digged a deep well just beside a Palestinian owned spring which now runned out of water. community living in a "firing area"
Besides the small piece of land that is left for his family Abu works today in an Israeli settlement, because he has no other choice to make ends meet. He is hoping for international support especially regarding advocacy work to support the people in their daily struggle and to help them to stay inspite the pressure that Israel puts on them. Abu also supports an international boycott of settlement and Israeli products to put pressure on the illegal settlements in the West Bank. 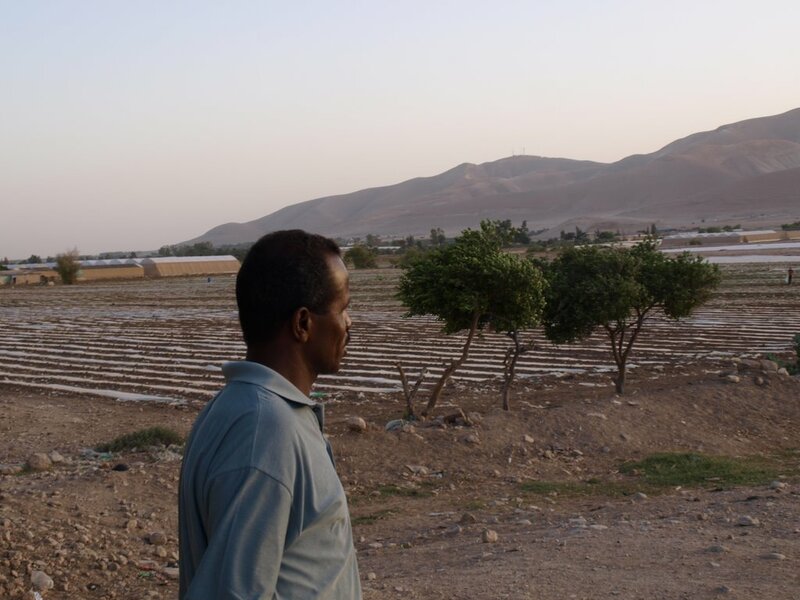 Maybe he would loose his job in the settlement, he says, but then he would be able to work on his own land again.